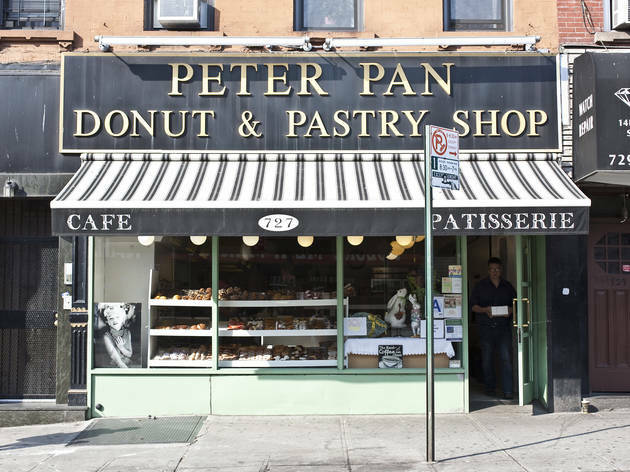 Bite into the best apple cider donuts NYC bakeries and farmer's markets have on their menus. We encourage seconds! What's chock-full of cinnamon, spice and everything nice? The best apple cider donuts NYC has each autumn, of course. Once September hits, people might start craving all-things pumpkin, but there's no excuse to surpass delectable apple desserts. Trust us, your sweet tooth will thank you. 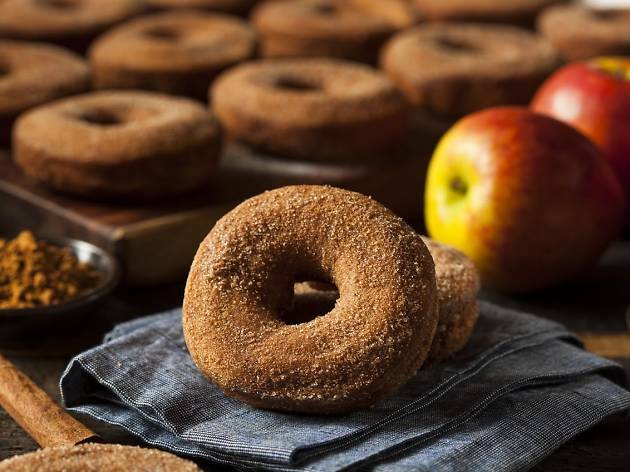 We've rounded up our favorite spots for apple cider donuts—and similar seasonal flavors—that deserve a spot on your autumn to-do list. Happy munching! Don't forget to check out the best locales for apple picking near NYC, take the whole family for a drive to enjoy the New York fall foliage and curl up with one of these scary movies for kids. 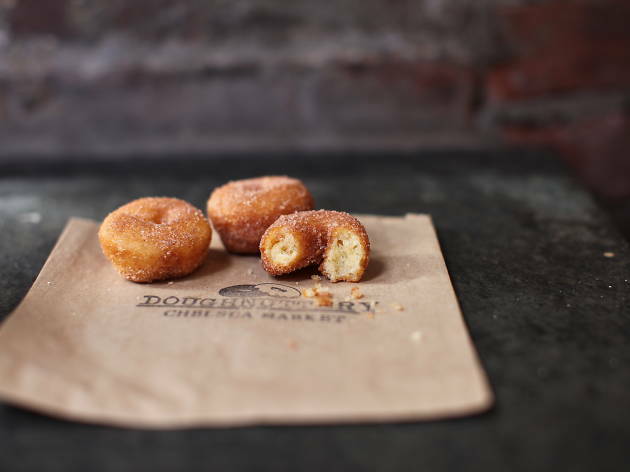 Don't let these tiny doughnuts fool you—they pack in the flavor, even for a bite-sized offering. 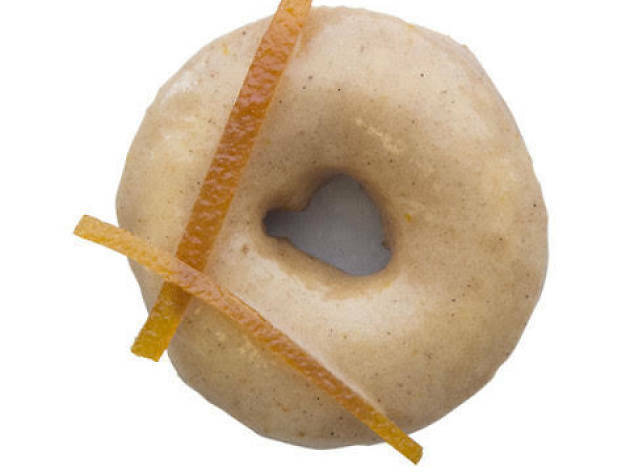 Doughnuttery's apple cider treat is taken up a notch with a sprinkling of fall spices and a hint of orange. If you're really craving seasonal treats, make sure to also try the pumpkin pie bruleé and cinnamon sugar flavors. The size of the desserts make seconds (and thirds and fourths) a no-brainer! With a sprinkle of sugar and a hint of cinnamon, these donuts are treats you can't miss once fall hits (a cup of coffee—or something sweet for the young'uns—isn't required but encouraged). 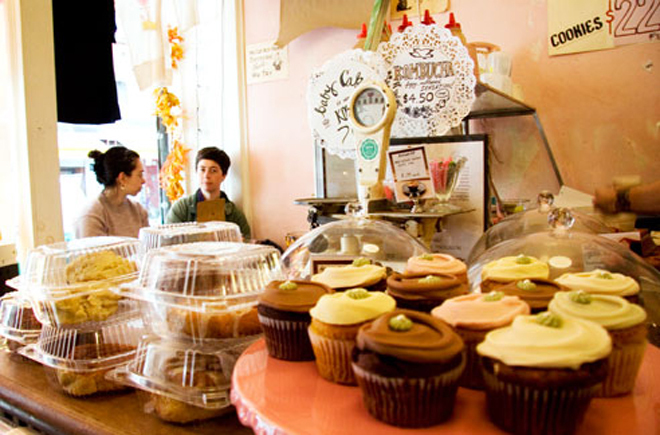 Visit the brick and mortar locations for a bite of the autumnal bliss. What fall lunch would be complete without an apple-flavored dessert? 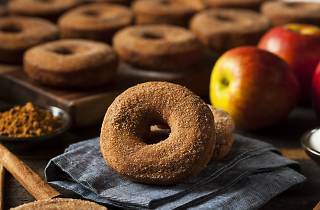 After you stop by Terri for a protein bowl or avocado and hummus wrap, don't forget to satisfy your sweet tooth with an apple cider doughnut. If you're really feeling adventurous, throw in an apple pie tartlet for good measure! Whoever said your neighborhood green market is restricted to fruits and veggies? Once the cool weather hits and the leaves begin to change, New Yorkers crave apple in all forms, and markets are a great place to find them. Make sure you visit grownyc.org and downtoearthmarkets.com to find the closest venue to your home. You can also grab stock up on apple cider while you're there, too—you'll need to refuel with a beverage! 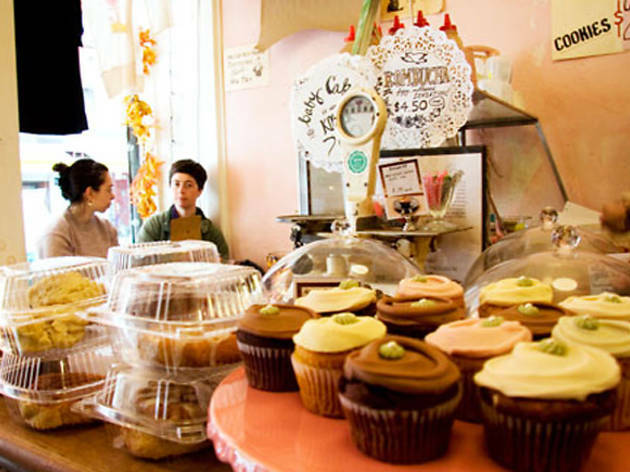 Options abound at this NYC go-to, and the treats are nothing short of delightful. Though tags such as "vegan" and "gluten-free" might stop some snackers in their tracks, there's no reason not to full-on indulge in the bakery's doughnuts. 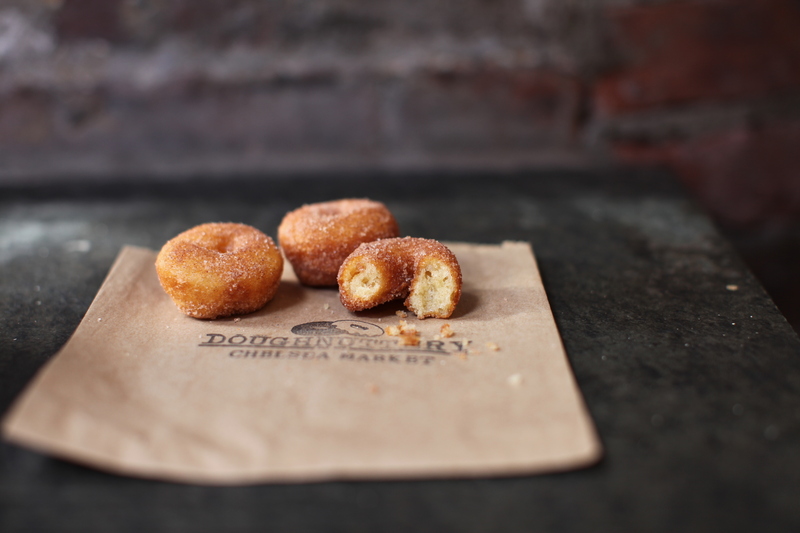 Flavors are rotated daily, and the cinnamon sugar option can't be beat. Peter Pan had it all wrong when he was in search of eternal youth—a never-ending supply of sweets is more like it. 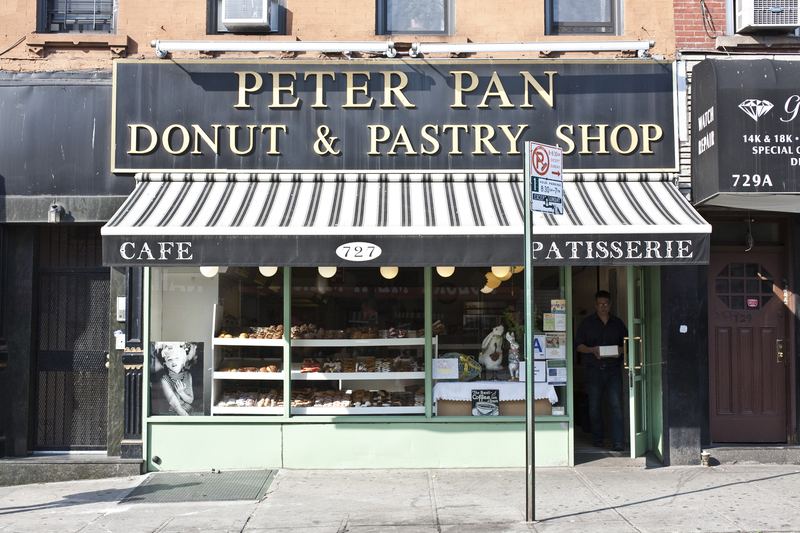 At this delightful Greenpoint shop, customers can enjoy traditional doughnut flavors or take their desserts to new levels with options like the marble red velvet cruller. 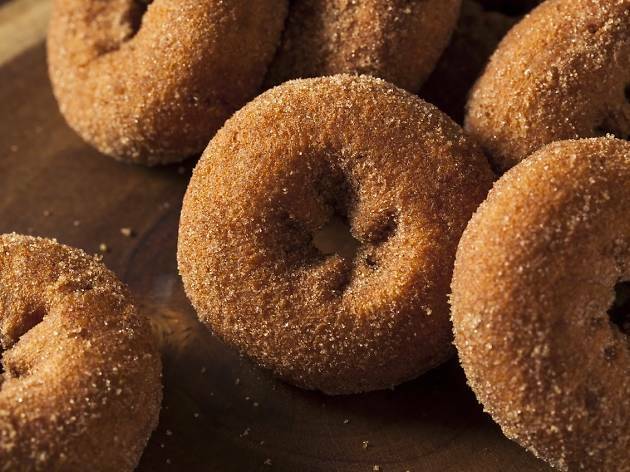 Apple cider doughnuts are available during the appropriate season, but call ahead before making a pitstop. Underwest Donuts' apple spice cake doughnut with a mulled cider glaze is fall perfection (with an orange peel on top for good measure). Don't skip out on this seasonal must!